An unarmed intercontinental ballistic missile was launched just after midnight Wednesday from Vandenberg Air Force Base as part of an operational test to show the country’s nuclear deterrent capability, according to the U.S. Air Force. 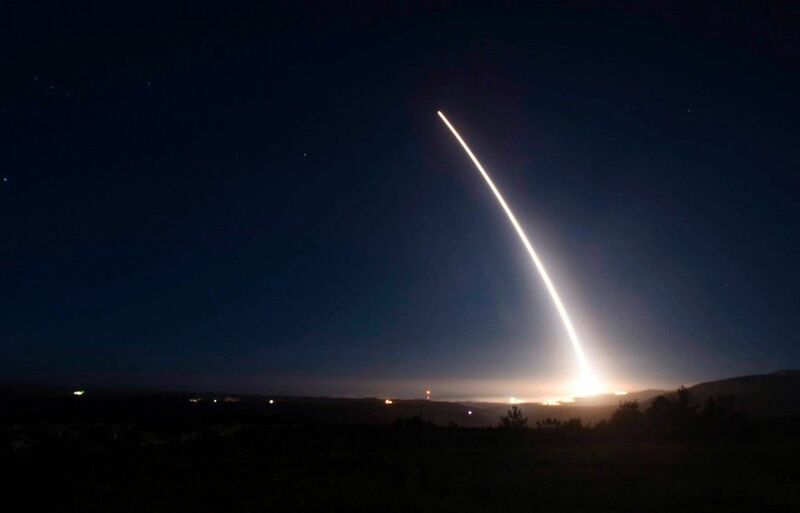 The Minuteman III missile test launch occurred at 12:03 a.m. from the base northwest of Lompoc, according to Vandenberg’s 30th Space Wing. The launch command was delivered from the Airborne Launch Control System on a Navy E-6 Mercury jet, according to the Air Force Global Strike Command. The missile, which was equipped with a nonexplosive payload that recorded flight data, traveled 4,200 miles to a test range in Kwajalein Atoll in the Marshall Islands, according to the Air Force.